Many people start with the CompTIA trio of A+, Network+, and Security+ to build a solid foundation in Information Technology (IT). Then they branch out into other areas. While this site is focused on the CompTIA trio, it also includes some information on other certs that people commonly pursue. 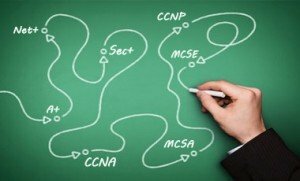 This blog identifies a possible IT certification path. Many people pursue the Systems Security Certified Practitioner (SSCP) as the next step after Security+. It builds on the Security+ exam and can be a stepping stone on the path to the highly valuable CISSP certification.The SSCP Systems Security Certified Practitioner All-in-One Exam Guide covers all the objectives for this certification. Get complete coverage of all the material on the Systems Security Certified Practitioner (SSCP) exam inside this comprehensive resource. Written by a leading IT security certification and training expert, this authoritative guide addresses all seven SSCP domains as developed by the International Information Systems Security Certification Consortium (ISC)2, including updated objectives effective April, 2015. You’ll find lists of topics covered at the beginning of each chapter, exam tips, practice exam questions, and in-depth explanations. 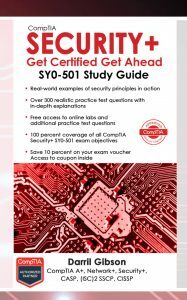 Designed to help you pass the exam with ease, SSCP Systems Security Certified Practitioner All-in-One Exam Guide also serves as an essential on-the-job reference. 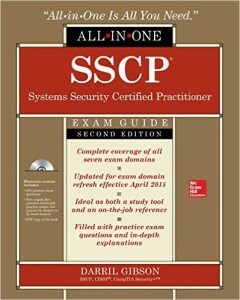 SSCP Systems Security Certified Practitioner All-in-One Exam Guide errata page. The Certified Information Systems Security Professional (CISSP) certification is a globally recognized standard of achievement that confirms an individual’s knowledge in the field of information security. CISSPs are information assurance professionals who define the architecture, design, management and/or controls that assure the security of business environments. The CISSP exam tests one’s competence in the ten CISSP domains of the (ISC)²®CBK®, which cover critical topics in security today, including risk management, cloud computing, mobile security, application development security and more. Candidates must have a minimum of five years of experience in two of the ten domains. 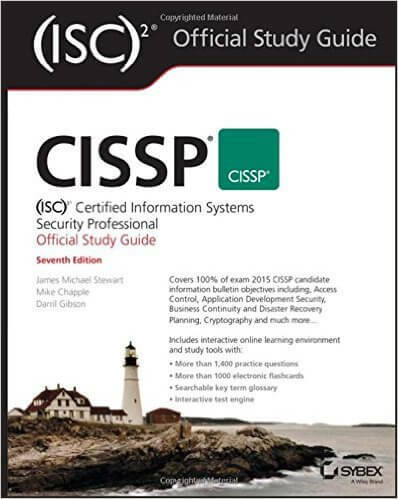 This vast breadth of knowledge and the experience it takes to pass the exam is what sets the CISSP apart.